Cubic Transportation Systems announced that Rhein-Main-Verkehrsverbund GmbH (RMV), one of Europe’s largest transport associations, has sold more than one million mobile phone transit tickets with Cubic’s smart phone app and mobile ticketing solution. With its head office located in Hofheim, RMV oversees transit services in the Frankfurt, Germany, region, including 153 transit operators that accept tickets generated by Cubic’s app. RMV’s “HandyTicket” service enables riders to pay for and download single rides, day passes and group day passes all from their mobile phone quickly, easily and without cash. Since the introduction of Cubic’s new mobile app in October 2010 for iPhone, Android and Blackberry smart phones, the number of users has reached over 40,000. The German transport network has also equipped its train stations and bus shelters with “ConTags” usable by travelers with NFC-enabled devices. 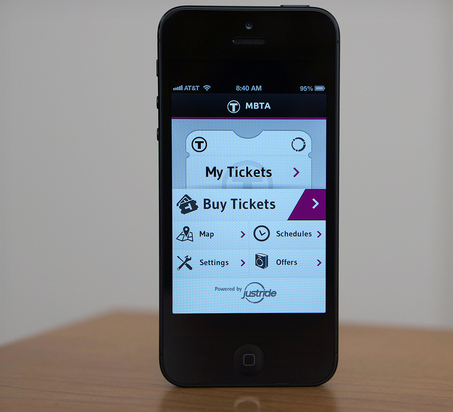 Customers simply tap with their smart phones to enter the transit system and automatically enter their starting location. The ticket is charged to his or her RMV account and a 2-D barcode ticket is transmitted to the phone, which can be verified by an inspector upon request.